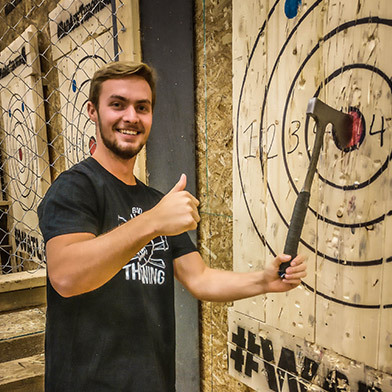 Chucking steel blades at wooden targets isn’t a lumberjack’s pastime anymore – it’s become Canada’s favourite way to celebrate any occasion. 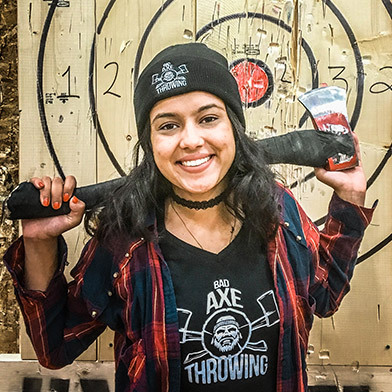 Bad Axe Throwing Surrey is offering various exciting games as well as a team and individual tournaments for an unforgettable experience. We serve the Greater Vancouver area, Richmond and Surrey. 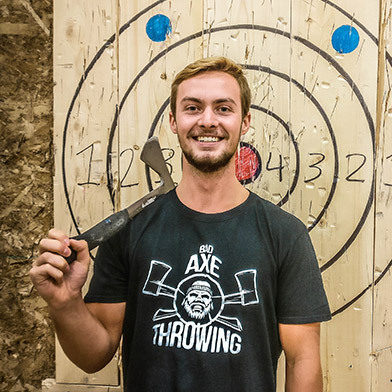 Axe throwing is something new and a little bit different. 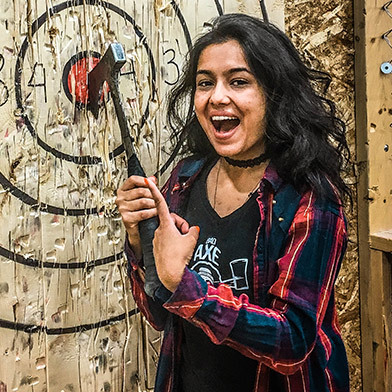 Everyone's done bowling, maybe you’ve done some pretty awesome laser tag, but axe throwing takes the cake, and it’s also something everyone can do. 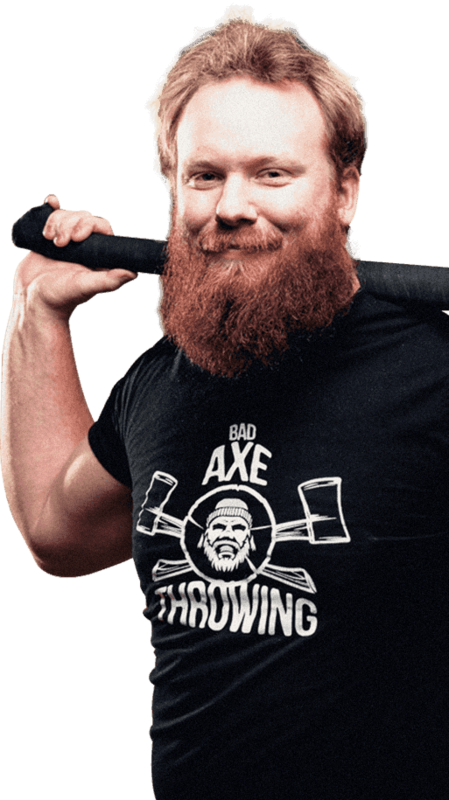 If you can lift up an axe, we can teach you how to throw it. It’s simple, fun and addictive. No skills are required – only a desire to have fun with a little edge. 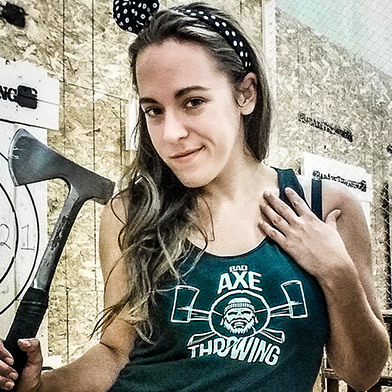 Learn how to throw an axe at a target. 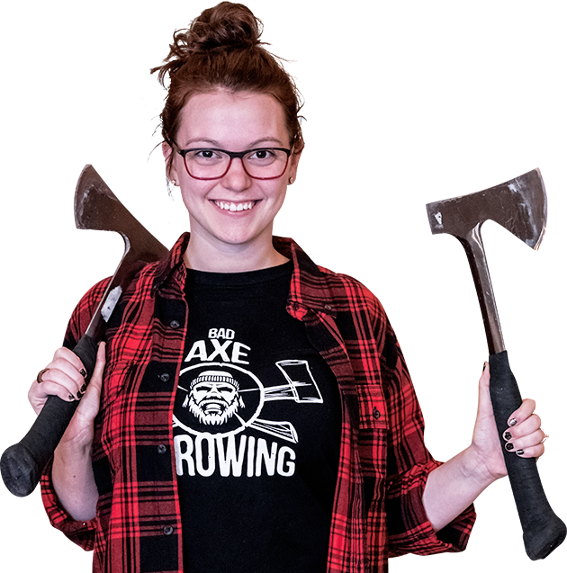 Our expert coaches will teach you how to throw an axe and help you improve your axe throwing technique and we'll make you into an axe throwing pro in no time. We are located at 109 – 8132 130th Street, Surrey, you can bring your own food and beverages, we'll supply the fun. My boyfriend and I went for a date night and it was awesome! Ben and Thor were helpful and entertaining the whole time and made our visit memorable! Thanks again guys we will be recommending this to all of our friends. Can't wait to come back!! Bad Axe was a fantastic way to spend the evening with a group from work as a team building opportunity. The environment was hospitable and our God Thor was attentive and make sure that everyone was safe. It was an amazing time. "Cool as hell experience for everyone"
Wanted to do something a little different for a birthday with a large group and people of all skills and sizes. 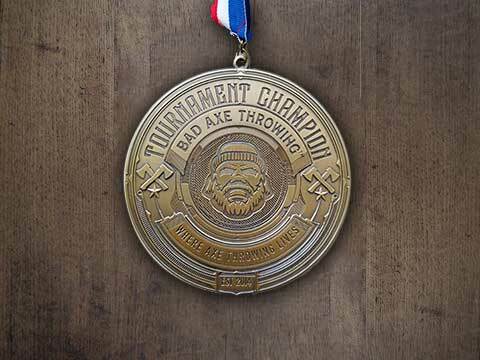 Bad Axe Throwing was fantastic. Our expert for the day was Thor who was knowledgable, funny and a great host for the 2+ hours that we spent at the place. 10/10 would go back. "Couldn't have axed for a better place to start off the holiday season!!" We booked for my 40th and everyone had such a blast. A completely different kind of event hosted by the energetic and fun Thor. I cannot recommend it enough. 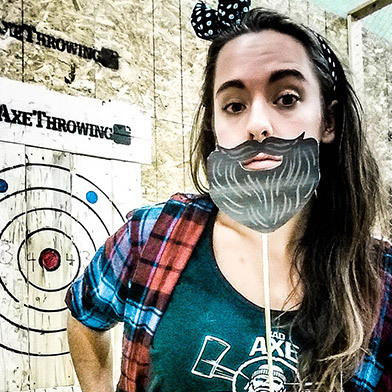 Even if you've never thrown an axe before, you must give it a try.